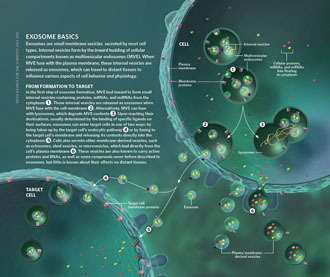 Exosome-RNA.com is a place to find the latest research and industry news and information about exosome RNA. 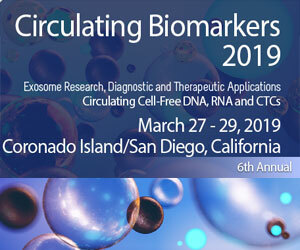 If you have something you would like to share with the Exosome RNA Community, go ahead and drop us a note. Extracellular vesicle (EV) are tiny membranous vesicles usually < 500 nm in size that recently emerged as a new paradigm in human intercellular signaling. EVs have shown a promising role in development of diagnostic markers in many pathophysiological disorders. 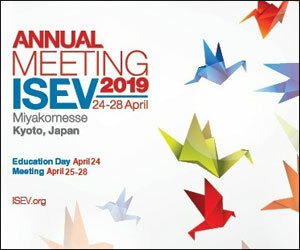 The presence of chemosensory and therapeutically relevant G protein-coupled receptors (GPCRs) on EV membranes is poorly characterized. 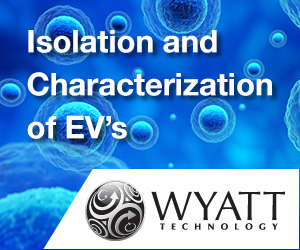 Here, we compare different methods including ultracentrifugation and polymer-charge-based separation to isolate EVs from cell culture media and human saliva. The presence of bitter taste GPCRs (T2R4 and T2R38) and a class A GPCR angiotensin II type 1 receptor on these EVs was characterized by qPCR, ELISA, and immunotransmission electron microscopy. This morning, neural exosome experts ArunA Bio announced the appointment of BD veteran Al Medwar as EVP, Corporate and Commercial Development. The announcement comes two months after appointing former long-time head of BioDelivery Sciences International Dr. Mark Sirgo as CEO, and six months following the company’s $5.3M raise. •	ArunA has addressed one of the biggest challenges in the exosome field today: manufacturing exosomes at clinical scale. ATHENS, Ga–(BUSINESS WIRE)–ArunA Bio, a leader in the development of exosomes and exosome therapeutics for the treatment of neurodegenerative disorders, today announced the appointment of Al Medwar as Executive Vice President, Corporate and Commercial Development. Mr. Medwar joins the company and its leadership team contributing over 30 years of pharmaceutical industry experience. 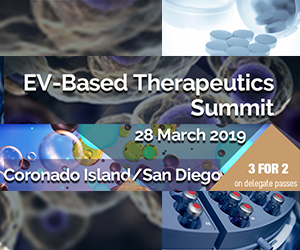 “I am pleased to have Al join the leadership team at ArunA Bio as we move aggressively to utilize our neural exosome platform to develop novel therapeutics to treat serious neurodegenerative disorders through both our internal pipeline and industry collaborations,” said Dr. Sirgo. “Al played a significant role in building BioDelivery Sciences into a fully integrated pharmaceutical company based on a platform technology. I look forward to successfully collaborating with Al again in this new and exciting venture. Prior to joining the company, Mr. Medwar was Senior Vice President, Corporate and Business Development for BioDelivery Sciences (Nasdaq: BDSI), where he spent eleven years and played a key role in building the company from a development to a commercial stage enterprise and in securing a number of licensing and partnership deals. In his capacity at BioDelivery Sciences, Mr. Medwar also led investor and public relations working closely with the investor and analyst communities. While at EMD Pharmaceuticals, the U.S. subsidiary of Merck KGaA, Mr. Medwar served as Head of Oncology Marketing, where he was responsible for developing the global market for a pipeline of immuno-oncology products. Earlier in his career, he was also the Marketing Director for Triangle Pharmaceuticals, a start-up company focusing on the development and commercialization of compounds for HIV and hepatitis. Mr. Medwar’s pharmaceutical career began in sales at Glaxo Wellcome. He received a BS degree from Cornell University and an MBA from Bentley University. For more information, please visit http://www.arunabio.com.